This post contains affiliate links. If you make a purchase through the link I receive a small commission that helps to keep the Farm cats in treats. 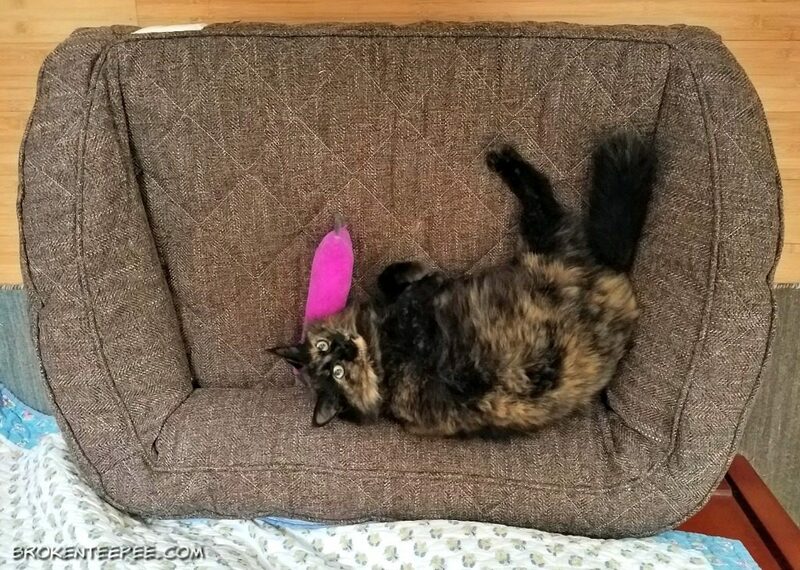 It is no secret that the Farm cats are very spoiled pets. But the one thing I’ve never gotten for them is an official pet bed. 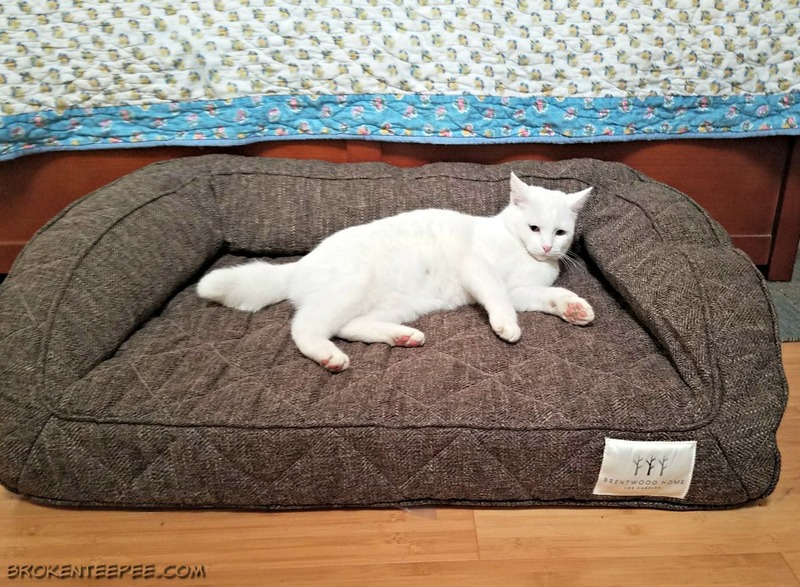 Thanks to Brentwood Home sending a pet bed for review they are now officially the most spoiled Farm cats in the world. All five have tried it out but one cat in particular has taken ownership. I’ll tell you which one at the end. 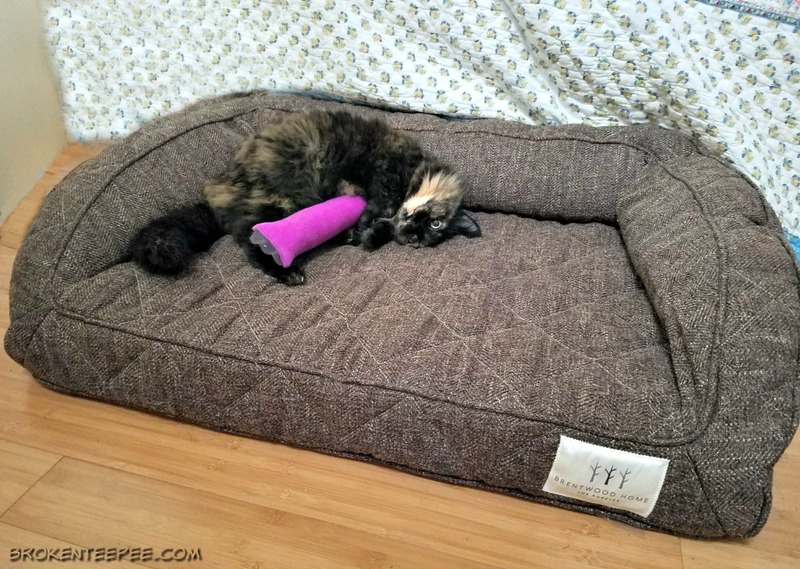 The Runyon Deluxe Pet Bed – Medium is 34 x 24″ and that is the Mocha color. 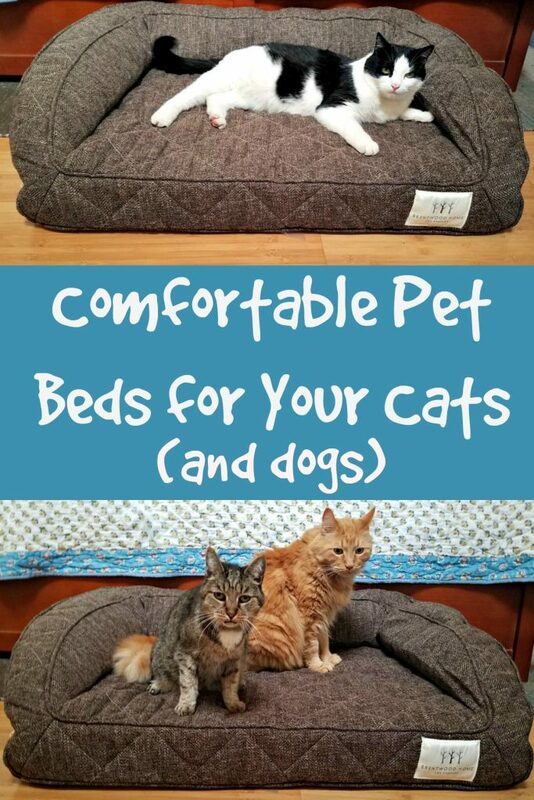 It’s a very generous size for cats and in truth it’s really a dog bed. Shhhhh, don’t tell the Farm cats. 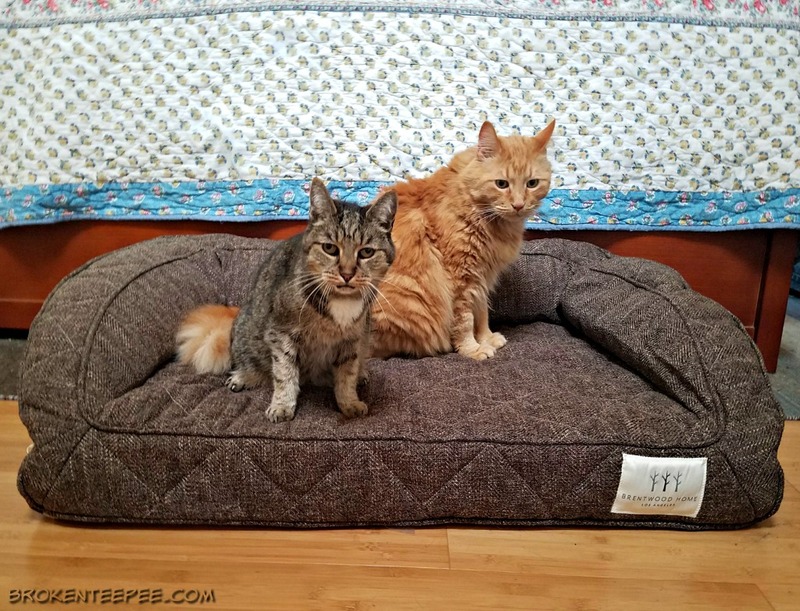 They think it’s a cat bed and there is no reason this foam bed can’t be a cat bed too. What I love, love, love about it – it’s made in the USA. In California. The cover is removable and washable which is fantastic with 5 Farm cats checking out the new addition to the yurt. And trust me, anything new that comes into the house gets a good once over by all of the cats. Sometimes by more than one of them at a time. And it didn’t even devolve into a cat battle! Usually the cats give each other a wide berth. Except for Harry and Sherpa since they were kittens together.. Whether your furry friend is young and spritely or a little slower and getting on, our Runyon Deluxe offers orthopedic support to cushion and protect their joints, so they can spring up ready for a hike in the canyons or a stroll around the kitchen. 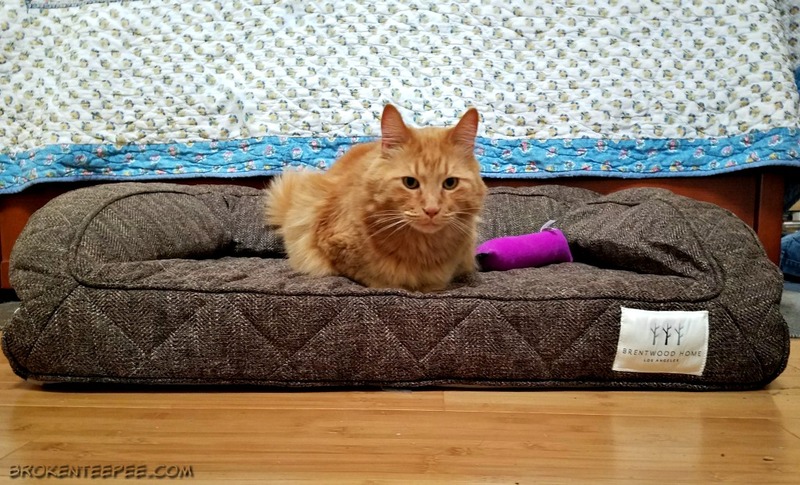 With back and side support, your pet will feel cradled and comfortable. And don’t worry about accidents—the cover is removable, washable, and replaceable, with a nontoxic waterproof lining to protect it from staining or smells. Best of all, the tailored tweed matches all of your classic Brentwood Home décor. Truth be told I was surprised how quickly the cats took to this bed. They tend to be leery of new things but the very first hour the bed was open they were all over it. As I mentioned one cat in particular has called the bed his own…. He is the one that spends the most time in the bed. He takes his pre-breakfast nap there, his mid-afternoon nap there, his pre-dinner nap there and his post-dinner nap there. If you can’t tell Pumpkin naps a lot. And he loves the new bed. Can you tell? 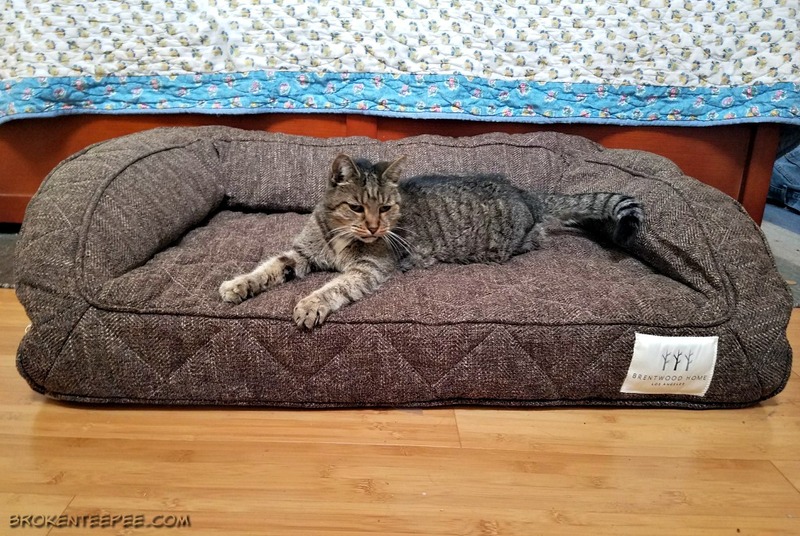 I don’t know if he is going to share or not – time will tell but for now he is truly enjoying his new bed. Don’t tell him but I have seen the other cats sneaking a cat nap in the bed when he’s been off doing whatever it is that Pumpkin does. A comfortable life starts at home. 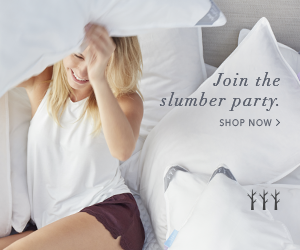 Healthy, luxurious home essentials at honest prices, handcrafted just for you, made in California and shipped to your doorstep. 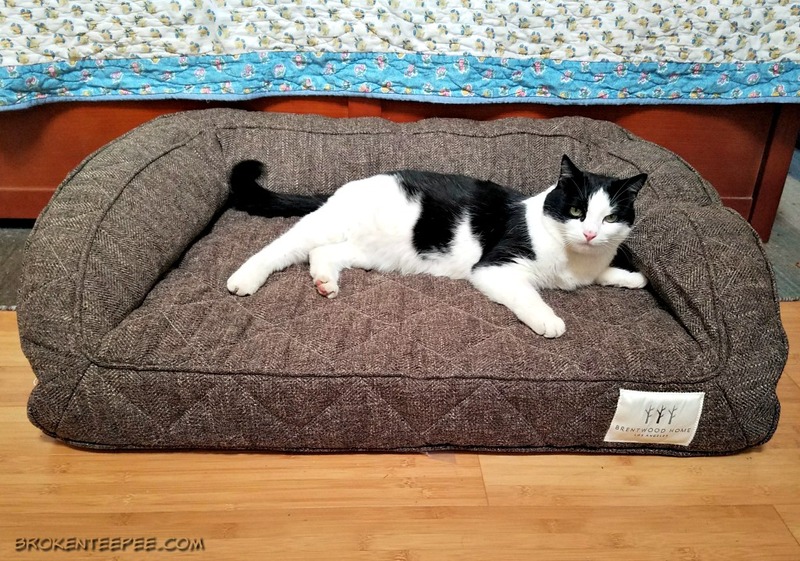 One lucky US reader will win the same pet bed that Pumpkin the Farm cat has fallen in love with – the Runyon Deluxe Pet Bed (medium in mocha.) Just enter as many ways as you would like on the Gleam widget below. Full rules are on the widget. Good luck everyone.